For the launch of Sentinel-2A, ESA is inviting you to take part in a photo contest focusing on the theme of 'colour vision'. Enter for a chance to win a trip to ESA's operations centre for the satellite's launch event. The Sentinels are a fleet of satellites designed specifically to deliver the wealth of data and imagery that are central to the European Commission's Copernicus programme. This unique environmental monitoring programme is making a step change in the way we manage our environment, how we understand and tackle the effects of climate change and even safeguard our everyday lives. 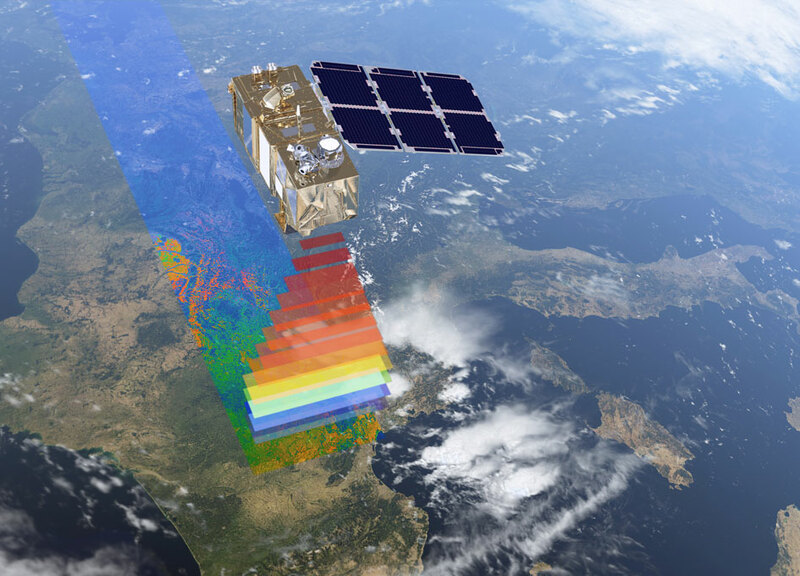 Sentinel-2 carries an innovative high-resolution multispectral imager with 13 spectral bands for a new perspective of our land and vegetation. The mission comprises two satellites, with the first Sentinel-2A scheduled for launch on 12 June. Ahead of the launch, ESA is inviting photographers to take part in a competition with the theme of 'colour vision'. The judges will be looking for an image that not only expresses this theme, but also connects with the mission's application areas (see below for tips). Up for grabs is the opportunity to visit ESOC, ESA's operations centre in Darmstadt, Germany, as a guest at the VIP event on the night of the launch. Four runners-up will receive gift packages through the post. Photographs should be your artistic interpretation of the theme 'colour vision' together with one or more of the Sentinel-2 application areas. Application areas include vegetation (or lack of), agriculture, changing landscapes and inland and coastal water bodies. This could mean photographs of a patchwork of fields, close-ups showing the intricate details of a leaf, sunlight seeping through trees, the edge of a clear-cut forest, the blues and greens of waves on a beach or sunset colours reflecting on a lake. There's no need to go far to capture an image of how Sentinel-2's colour vision applies to your own neighbourhood. Be creative the possibilities are endless! The competition is open now and will accept entries until 09:00 CEST on 18 May 2015. Please be sure to read the competition rules and term and conditions for full instructions on how to enter, details regarding eligibility and information about the prizes. Feel free to share your images on Twitter using the hashtag #colourvision when posting. Keep an eye on @ESA_EO for the announcement of the winner, runners-up and honourable mentions.